Moonroof, Navigation, Turbo Charged. FUEL EFFICIENT 30 MPG Hwy/21 MPG City! Polar White exterior and Black MB-Tex interior, E 300 trim READ MORE! KEY FEATURES INCLUDE Navigation, Sunroof, Back-Up Camera, Turbocharged, iPod/MP3 Input. MP3 Player, Child Safety Locks, Steering Wheel Controls, Electronic Stability Control, Heated Mirrors. OPTION PACKAGES PREMIUM 1 PACKAGE KEYLESS-GO, KEYLESS-GO Comfort Package Code, SiriusXM Radio, 6-month All Access Plan trial, Hands-Free Access, NFC Wireless Charging, Electric Trunk Closer, BURMESTER SURROUND SOUND SYSTEM 590 Watts, 13 high-performance speakers, 9 channel DSP amplifier, Frontbass technology, sound optimization, noise compensation and sound preset, BLIND SPOT ASSIST. Mercedes-Benz E 300 with Polar White exterior and Black MB-Tex interior features a 4 Cylinder Engine with 241 HP at 5500 RPM*. EXPERTS CONCLUDE Edmunds.com explains . the E-Class continues to provide top-notch technology features and an impeccably crafted cabin. Whether you're after stately luxury, face-flattening performance or both, the E-Class' continuous improvements help make it one of our favorite midsize luxury vehicles.. Great Gas Mileage: 30 MPG Hwy. OUR OFFERINGS Mercedes-Benz of Modesto in Modesto, CA treats the needs of each individual customer with paramount concern. We know that you have high expectations, and as an automotive dealer we enjoy the challenge of meeting and exceeding those standards each and every time. Allow us to demonstrate our commitment to excellence! Our experienced sales staff is eager to share its knowledge and enthusiasm with you. We encourage you to browse our online inventory, schedule a test drive and investigate financing. Horsepower calculations based on trim engine configuration. Fuel economy calculations based on original manufacturer data for trim engine configuration. Please confirm the accuracy of the included equipment by calling us prior to purchase.Moonroof, Navigation, Turbo Charged. FUEL EFFICIENT 30 MPG Hwy/21 MPG City! Polar White exterior and Black MB-Tex interior, E 300 trim READ MORE! Navigation, Sunroof, Back-Up Camera, Turbocharged, iPod/MP3 Input. MP3 Player, Child Safety Locks, Steering Wheel Controls, Electronic Stability Control, Heated Mirrors. Edmunds.com explains . the E-Class continues to provide top-notch technology features and an impeccably crafted cabin. Whether you're after stately luxury, face-flattening performance or both, the E-Class' continuous improvements help make it one of our favorite midsize luxury vehicles.. Great Gas Mileage: 30 MPG Hwy. Moonroof, Nav System. FUEL EFFICIENT 30 MPG Hwy/21 MPG City! Polar White exterior and Macchiato Beige/ Black MB-Tex interior READ MORE! KEY FEATURES INCLUDE Navigation, Sunroof, Back-Up Camera, Turbocharged, iPod/MP3 Input MP3 Player, Child Safety Locks, Steering Wheel Controls, Electronic Stability Control, Heated Mirrors. OPTION PACKAGES PREMIUM 1 PACKAGE KEYLESS-GO, KEYLESS-GO Comfort Package Code, SiriusXM Radio, 6-month All Access Plan trial, Hands-Free Access, NFC Wireless Charging, Electric Trunk Closer, BURMESTER SURROUND SOUND SYSTEM 590 Watts, 13 high-performance speakers, 9 channel DSP amplifier, Frontbass technology, sound optimization, noise compensation and sound preset, BLIND SPOT ASSIST, HEATED STEERING WHEEL. Mercedes-Benz E 300 with Polar White exterior and Macchiato Beige/ Black MB-Tex interior features a 4 Cylinder Engine with 241 HP at 5500 RPM*. EXPERTS CONCLUDE . the E-Class continues to provide top-notch technology features and an impeccably crafted cabin. Whether you're after stately luxury, face-flattening performance or both, the E-Class' continuous improvements help make it one of our favorite midsize luxury vehicles. -Edmunds.com. Great Gas Mileage: 30 MPG Hwy. WHY BUY FROM US Mercedes-Benz of Modesto in Modesto, CA treats the needs of each individual customer with paramount concern. We know that you have high expectations, and as an automotive dealer we enjoy the challenge of meeting and exceeding those standards each and every time. Allow us to demonstrate our commitment to excellence! Our experienced sales staff is eager to share its knowledge and enthusiasm with you. We encourage you to browse our online inventory, schedule a test drive and investigate financing. Horsepower calculations based on trim engine configuration. Fuel economy calculations based on original manufacturer data for trim engine configuration. Please confirm the accuracy of the included equipment by calling us prior to purchase.Moonroof, Nav System. FUEL EFFICIENT 30 MPG Hwy/21 MPG City! Polar White exterior and Macchiato Beige/ Black MB-Tex interior READ MORE! Navigation, Sunroof, Back-Up Camera, Turbocharged, iPod/MP3 Input MP3 Player, Child Safety Locks, Steering Wheel Controls, Electronic Stability Control, Heated Mirrors. PREMIUM 1 PACKAGE KEYLESS-GO, KEYLESS-GO Comfort Package Code, SiriusXM Radio, 6-month All Access Plan trial, Hands-Free Access, NFC Wireless Charging, Electric Trunk Closer, BURMESTER SURROUND SOUND SYSTEM 590 Watts, 13 high-performance speakers, 9 channel DSP amplifier, Frontbass technology, sound optimization, noise compensation and sound preset, BLIND SPOT ASSIST, HEATED STEERING WHEEL. Mercedes-Benz E 300 with Polar White exterior and Macchiato Beige/ Black MB-Tex interior features a 4 Cylinder Engine with 241 HP at 5500 RPM*.
. the E-Class continues to provide top-notch technology features and an impeccably crafted cabin. Whether you're after stately luxury, face-flattening performance or both, the E-Class' continuous improvements help make it one of our favorite midsize luxury vehicles. -Edmunds.com. Great Gas Mileage: 30 MPG Hwy. Nav System, Moonroof, Turbo Charged Engine. EPA 30 MPG Hwy/21 MPG City! E 300 trim, Black exterior and Black MB-Tex interior CLICK ME! KEY FEATURES INCLUDE Navigation, Sunroof, Turbocharged, iPod/MP3 Input, Onboard Communications System MP3 Player, Child Safety Locks, Steering Wheel Controls, Electronic Stability Control, Heated Mirrors. OPTION PACKAGES PREMIUM 1 PACKAGE KEYLESS-GO, KEYLESS-GO Comfort Package Code, SiriusXM Radio, 6-month All Access Plan trial, Hands-Free Access, NFC Wireless Charging, Electric Trunk Closer, PARKING ASSISTANCE PACKAGE Surround View Camera, Active Parking Assist, BURMESTER SURROUND SOUND SYSTEM 590 Watts, 13 high-performance speakers, 9 channel DSP amplifier, Frontbass technology, sound optimization, noise compensation and sound preset, BLIND SPOT ASSIST, REAR SPOILER, HEATED STEERING WHEEL. Mercedes-Benz E 300 with Black exterior and Black MB-Tex interior features a 4 Cylinder Engine with 241 HP at 5500 RPM*. EXPERTS CONCLUDE . the E-Class continues to provide top-notch technology features and an impeccably crafted cabin. Whether you're after stately luxury, face-flattening performance or both, the E-Class' continuous improvements help make it one of our favorite midsize luxury vehicles. -Edmunds.com. Great Gas Mileage: 30 MPG Hwy. VISIT US TODAY Mercedes-Benz of Modesto in Modesto, CA treats the needs of each individual customer with paramount concern. We know that you have high expectations, and as an automotive dealer we enjoy the challenge of meeting and exceeding those standards each and every time. Allow us to demonstrate our commitment to excellence! Our experienced sales staff is eager to share its knowledge and enthusiasm with you. We encourage you to browse our online inventory Horsepower calculations based on trim engine configuration. Fuel economy calculations based on original manufacturer data for trim engine configuration. Please confirm the accuracy of the included equipment by calling us prior to purchase.Nav System, Moonroof, Turbo Charged Engine. EPA 30 MPG Hwy/21 MPG City! E 300 trim, Black exterior and Black MB-Tex interior CLICK ME! PREMIUM 1 PACKAGE KEYLESS-GO, KEYLESS-GO Comfort Package Code, SiriusXM Radio, 6-month All Access Plan trial, Hands-Free Access, NFC Wireless Charging, Electric Trunk Closer, PARKING ASSISTANCE PACKAGE Surround View Camera, Active Parking Assist, BURMESTER SURROUND SOUND SYSTEM 590 Watts, 13 high-performance speakers, 9 channel DSP amplifier, Frontbass technology, sound optimization, noise compensation and sound preset, BLIND SPOT ASSIST, REAR SPOILER, HEATED STEERING WHEEL. Mercedes-Benz E 300 with Black exterior and Black MB-Tex interior features a 4 Cylinder Engine with 241 HP at 5500 RPM*. Moonroof, Nav System. E 300 trim, Polar White exterior and Macchiato Beige/ Black MB-Tex interior. EPA 30 MPG Hwy/21 MPG City! CLICK ME! KEY FEATURES INCLUDE Navigation, Sunroof, Turbocharged, iPod/MP3 Input, Onboard Communications System. MP3 Player, Steering Wheel Controls, Child Safety Locks, Electronic Stability Control, Heated Mirrors. OPTION PACKAGES PREMIUM 1 PACKAGE KEYLESS-GO, KEYLESS-GO Comfort Package Code, SiriusXM Radio, 6-month All Access Plan trial, Hands-Free Access, NFC Wireless Charging, Electric Trunk Closer, PARKING ASSISTANCE PACKAGE Surround View Camera, Active Parking Assist, BURMESTER SURROUND SOUND SYSTEM 590 Watts, 13 high-performance speakers, 9 channel DSP amplifier, Frontbass technology, sound optimization, noise compensation and sound preset, EXTERIOR LIGHTING PACKAGE Adaptive Highbeam Assist, LED Intelligent Light System, BLIND SPOT ASSIST, HEATED STEERING WHEEL. Mercedes-Benz E 300 with Polar White exterior and Macchiato Beige/ Black MB-Tex interior features a 4 Cylinder Engine with 241 HP at 5500 RPM*. EXPERTS REPORT . the E-Class continues to provide top-notch technology features and an impeccably crafted cabin. Whether you're after stately luxury, face-flattening performance or both, the E-Class' continuous improvements help make it one of our favorite midsize luxury vehicles. -Edmunds.com. Great Gas Mileage: 30 MPG Hwy. VISIT US TODAY Mercedes-Benz of Modesto in Modesto, CA treats the needs of each individual customer with paramount concern. We know that you have high expectations Horsepower calculations based on trim engine configuration. Fuel economy calculations based on original manufacturer data for trim engine configuration. Please confirm the accuracy of the included equipment by calling us prior to purchase.Moonroof, Nav System. E 300 trim, Polar White exterior and Macchiato Beige/ Black MB-Tex interior. EPA 30 MPG Hwy/21 MPG City! CLICK ME! Navigation, Sunroof, Turbocharged, iPod/MP3 Input, Onboard Communications System. MP3 Player, Steering Wheel Controls, Child Safety Locks, Electronic Stability Control, Heated Mirrors. PREMIUM 1 PACKAGE KEYLESS-GO, KEYLESS-GO Comfort Package Code, SiriusXM Radio, 6-month All Access Plan trial, Hands-Free Access, NFC Wireless Charging, Electric Trunk Closer, PARKING ASSISTANCE PACKAGE Surround View Camera, Active Parking Assist, BURMESTER SURROUND SOUND SYSTEM 590 Watts, 13 high-performance speakers, 9 channel DSP amplifier, Frontbass technology, sound optimization, noise compensation and sound preset, EXTERIOR LIGHTING PACKAGE Adaptive Highbeam Assist, LED Intelligent Light System, BLIND SPOT ASSIST, HEATED STEERING WHEEL. Mercedes-Benz E 300 with Polar White exterior and Macchiato Beige/ Black MB-Tex interior features a 4 Cylinder Engine with 241 HP at 5500 RPM*. Moonroof, Navigation, Turbo Charged. Polar White exterior and Black MB-Tex interior, E 300 trim. EPA 30 MPG Hwy/21 MPG City! CLICK ME! KEY FEATURES INCLUDE Navigation, Turbocharged, iPod/MP3 Input, Onboard Communications System, Aluminum Wheels MP3 Player, Child Safety Locks, Steering Wheel Controls, Electronic Stability Control, Heated Mirrors. OPTION PACKAGES PREMIUM 1 PACKAGE KEYLESS-GO, KEYLESS-GO Comfort Package Code, SiriusXM Radio, 6-month All Access Plan trial, Hands-Free Access, NFC Wireless Charging, Electric Trunk Closer, PARKING ASSISTANCE PACKAGE Surround View Camera, Active Parking Assist, PANORAMA ROOF power tilt/sliding sunroof, BURMESTER SURROUND SOUND SYSTEM 590 Watts, 13 high-performance speakers, 9 channel DSP amplifier, Frontbass technology, sound optimization, noise compensation and sound preset, BLIND SPOT ASSIST, REAR SPOILER. Mercedes-Benz E 300 with Polar White exterior and Black MB-Tex interior features a 4 Cylinder Engine with 241 HP at 5500 RPM*. EXPERTS ARE SAYING Edmunds.com's review says . the E-Class continues to provide top-notch technology features and an impeccably crafted cabin. Whether you're after stately luxury, face-flattening performance or both, the E-Class' continuous improvements help make it one of our favorite midsize luxury vehicles.. Great Gas Mileage: 30 MPG Hwy. MORE ABOUT US Mercedes-Benz of Modesto in Modesto, CA treats the needs of each individual customer with paramount concern. We know that you have high expectations Horsepower calculations based on trim engine configuration. Fuel economy calculations based on original manufacturer data for trim engine configuration. Please confirm the accuracy of the included equipment by calling us prior to purchase.Moonroof, Navigation, Turbo Charged. Polar White exterior and Black MB-Tex interior, E 300 trim. EPA 30 MPG Hwy/21 MPG City! CLICK ME! Navigation, Turbocharged, iPod/MP3 Input, Onboard Communications System, Aluminum Wheels MP3 Player, Child Safety Locks, Steering Wheel Controls, Electronic Stability Control, Heated Mirrors. PREMIUM 1 PACKAGE KEYLESS-GO, KEYLESS-GO Comfort Package Code, SiriusXM Radio, 6-month All Access Plan trial, Hands-Free Access, NFC Wireless Charging, Electric Trunk Closer, PARKING ASSISTANCE PACKAGE Surround View Camera, Active Parking Assist, PANORAMA ROOF power tilt/sliding sunroof, BURMESTER SURROUND SOUND SYSTEM 590 Watts, 13 high-performance speakers, 9 channel DSP amplifier, Frontbass technology, sound optimization, noise compensation and sound preset, BLIND SPOT ASSIST, REAR SPOILER. Mercedes-Benz E 300 with Polar White exterior and Black MB-Tex interior features a 4 Cylinder Engine with 241 HP at 5500 RPM*. Edmunds.com's review says . the E-Class continues to provide top-notch technology features and an impeccably crafted cabin. Whether you're after stately luxury, face-flattening performance or both, the E-Class' continuous improvements help make it one of our favorite midsize luxury vehicles.. Great Gas Mileage: 30 MPG Hwy. Moonroof, Nav System, Turbo Charged Engine. Selenite Grey Metallic exterior and Macchiato Beige/ Black MB-Tex interior, E 300 trim. CLICK NOW! KEY FEATURES INCLUDE Navigation, Sunroof, Turbocharged, iPod/MP3 Input, Onboard Communications System MP3 Player, Child Safety Locks, Steering Wheel Controls, Electronic Stability Control, Heated Mirrors. OPTION PACKAGES PREMIUM 1 PACKAGE KEYLESS-GO, KEYLESS-GO Comfort Package Code, SiriusXM Radio, 6-month All Access Plan trial, Hands-Free Access, NFC Wireless Charging, Electric Trunk Closer, PARKING ASSISTANCE PACKAGE Surround View Camera, Active Parking Assist, BURMESTER SURROUND SOUND SYSTEM 590 Watts, 13 high-performance speakers, 9 channel DSP amplifier, Frontbass technology, sound optimization, noise compensation and sound preset, BLIND SPOT ASSIST, REAR SPOILER, HEATED STEERING WHEEL. Mercedes-Benz E 300 with Selenite Grey Metallic exterior and Macchiato Beige/ Black MB-Tex interior features a 4 Cylinder Engine with 241 HP at 5500 RPM*. EXPERTS RAVE Edmunds.com explains . the E-Class continues to provide top-notch technology features and an impeccably crafted cabin. Whether you're after stately luxury, face-flattening performance or both, the E-Class' continuous improvements help make it one of our favorite midsize luxury vehicles.. Great Gas Mileage: 30 MPG Hwy. VISIT US TODAY Mercedes-Benz of Modesto in Modesto, CA treats the needs of each individual customer with paramount concern. We know that you have high expectations Horsepower calculations based on trim engine configuration. Fuel economy calculations based on original manufacturer data for trim engine configuration. Please confirm the accuracy of the included equipment by calling us prior to purchase.Moonroof, Nav System, Turbo Charged Engine. Selenite Grey Metallic exterior and Macchiato Beige/ Black MB-Tex interior, E 300 trim. CLICK NOW! PREMIUM 1 PACKAGE KEYLESS-GO, KEYLESS-GO Comfort Package Code, SiriusXM Radio, 6-month All Access Plan trial, Hands-Free Access, NFC Wireless Charging, Electric Trunk Closer, PARKING ASSISTANCE PACKAGE Surround View Camera, Active Parking Assist, BURMESTER SURROUND SOUND SYSTEM 590 Watts, 13 high-performance speakers, 9 channel DSP amplifier, Frontbass technology, sound optimization, noise compensation and sound preset, BLIND SPOT ASSIST, REAR SPOILER, HEATED STEERING WHEEL. Mercedes-Benz E 300 with Selenite Grey Metallic exterior and Macchiato Beige/ Black MB-Tex interior features a 4 Cylinder Engine with 241 HP at 5500 RPM*. NAV, Sunroof, iPod/MP3 Input, Turbo. Polar White exterior and Black MB-Tex interior, E 300 trim. EPA 30 MPG Hwy/21 MPG City! CLICK ME! KEY FEATURES INCLUDE Navigation, Turbocharged, iPod/MP3 Input, Onboard Communications System, Aluminum Wheels. MP3 Player, Child Safety Locks, Steering Wheel Controls, Electronic Stability Control, Heated Mirrors. OPTION PACKAGES PREMIUM 1 PACKAGE KEYLESS-GO, KEYLESS-GO Comfort Package Code, SiriusXM Radio, 6-month All Access Plan trial, Hands-Free Access, NFC Wireless Charging, Electric Trunk Closer, PARKING ASSISTANCE PACKAGE Surround View Camera, Active Parking Assist, PANORAMA ROOF power tilt/sliding sunroof, BURMESTER SURROUND SOUND SYSTEM 590 Watts, 13 high-performance speakers, 9 channel DSP amplifier, Frontbass technology, sound optimization, noise compensation and sound preset, BLIND SPOT ASSIST, REAR SPOILER, HEATED STEERING WHEEL. Mercedes-Benz E 300 with Polar White exterior and Black MB-Tex interior features a 4 Cylinder Engine with 241 HP at 5500 RPM*. EXPERTS CONCLUDE Edmunds.com's review says . the E-Class continues to provide top-notch technology features and an impeccably crafted cabin. Whether you're after stately luxury, face-flattening performance or both, the E-Class' continuous improvements help make it one of our favorite midsize luxury vehicles.. Great Gas Mileage: 30 MPG Hwy. 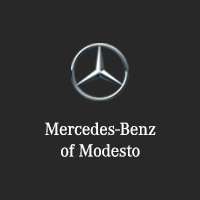 WHO WE ARE Mercedes-Benz of Modesto in Modesto, CA treats the needs of each individual customer with paramount concern. We know that you have high expectations Horsepower calculations based on trim engine configuration. Fuel economy calculations based on original manufacturer data for trim engine configuration. Please confirm the accuracy of the included equipment by calling us prior to purchase.NAV, Sunroof, iPod/MP3 Input, Turbo. Polar White exterior and Black MB-Tex interior, E 300 trim. EPA 30 MPG Hwy/21 MPG City! CLICK ME! Navigation, Turbocharged, iPod/MP3 Input, Onboard Communications System, Aluminum Wheels. MP3 Player, Child Safety Locks, Steering Wheel Controls, Electronic Stability Control, Heated Mirrors. PREMIUM 1 PACKAGE KEYLESS-GO, KEYLESS-GO Comfort Package Code, SiriusXM Radio, 6-month All Access Plan trial, Hands-Free Access, NFC Wireless Charging, Electric Trunk Closer, PARKING ASSISTANCE PACKAGE Surround View Camera, Active Parking Assist, PANORAMA ROOF power tilt/sliding sunroof, BURMESTER SURROUND SOUND SYSTEM 590 Watts, 13 high-performance speakers, 9 channel DSP amplifier, Frontbass technology, sound optimization, noise compensation and sound preset, BLIND SPOT ASSIST, REAR SPOILER, HEATED STEERING WHEEL. Mercedes-Benz E 300 with Polar White exterior and Black MB-Tex interior features a 4 Cylinder Engine with 241 HP at 5500 RPM*. Nav System, Moonroof, Dual Zone A/C, iPod/MP3 Input. Black exterior and Black MB-Tex interior, E 300 trim. EPA 30 MPG Hwy/21 MPG City! SEE MORE! KEY FEATURES INCLUDE Navigation, Turbocharged, iPod/MP3 Input, Onboard Communications System, Dual Zone A/C. MP3 Player, Child Safety Locks, Steering Wheel Controls, Electronic Stability Control, Heated Mirrors. OPTION PACKAGES PREMIUM 1 PACKAGE KEYLESS-GO, KEYLESS-GO Comfort Package Code, SiriusXM Radio, 6-month All Access Plan trial, Hands-Free Access, NFC Wireless Charging, Electric Trunk Closer, PARKING ASSISTANCE PACKAGE Surround View Camera, Active Parking Assist, PANORAMA ROOF power tilt/sliding sunroof, BURMESTER SURROUND SOUND SYSTEM 590 Watts, 13 high-performance speakers, 9 channel DSP amplifier, Frontbass technology, sound optimization, noise compensation and sound preset, BLIND SPOT ASSIST, WHEELS: 19 AMG TWIN 5-SPOKE Tires: 245/40R19, REAR SPOILER. Mercedes-Benz E 300 with Black exterior and Black MB-Tex interior features a 4 Cylinder Engine with 241 HP at 5500 RPM*. EXPERTS ARE SAYING Edmunds.com explains . the E-Class continues to provide top-notch technology features and an impeccably crafted cabin. Whether you're after stately luxury, face-flattening performance or both, the E-Class' continuous improvements help make it one of our favorite midsize luxury vehicles.. Great Gas Mileage: 30 MPG Hwy. WHY BUY FROM US Mercedes-Benz of Modesto in Modesto, CA treats the needs of each individual customer with paramount concern. We know that you have high expectations Horsepower calculations based on trim engine configuration. Fuel economy calculations based on original manufacturer data for trim engine configuration. Please confirm the accuracy of the included equipment by calling us prior to purchase.Nav System, Moonroof, Dual Zone A/C, iPod/MP3 Input. Black exterior and Black MB-Tex interior, E 300 trim. EPA 30 MPG Hwy/21 MPG City! SEE MORE! Navigation, Turbocharged, iPod/MP3 Input, Onboard Communications System, Dual Zone A/C. MP3 Player, Child Safety Locks, Steering Wheel Controls, Electronic Stability Control, Heated Mirrors. PREMIUM 1 PACKAGE KEYLESS-GO, KEYLESS-GO Comfort Package Code, SiriusXM Radio, 6-month All Access Plan trial, Hands-Free Access, NFC Wireless Charging, Electric Trunk Closer, PARKING ASSISTANCE PACKAGE Surround View Camera, Active Parking Assist, PANORAMA ROOF power tilt/sliding sunroof, BURMESTER SURROUND SOUND SYSTEM 590 Watts, 13 high-performance speakers, 9 channel DSP amplifier, Frontbass technology, sound optimization, noise compensation and sound preset, BLIND SPOT ASSIST, WHEELS: 19 AMG TWIN 5-SPOKE Tires: 245/40R19, REAR SPOILER. Mercedes-Benz E 300 with Black exterior and Black MB-Tex interior features a 4 Cylinder Engine with 241 HP at 5500 RPM*. Nav System, Moonroof, iPod/MP3 Input. E 300 trim, Black exterior and Nut Brown/ Black MB-Tex interior. EPA 30 MPG Hwy/21 MPG City! SEE MORE! KEY FEATURES INCLUDE Navigation, Turbocharged, iPod/MP3 Input, Onboard Communications System, Aluminum Wheels. MP3 Player, Steering Wheel Controls, Child Safety Locks, Electronic Stability Control, Heated Mirrors. OPTION PACKAGES PREMIUM 1 PACKAGE KEYLESS-GO, KEYLESS-GO Comfort Package Code, SiriusXM Radio, 6-month All Access Plan trial, Hands-Free Access, NFC Wireless Charging, Electric Trunk Closer, PARKING ASSISTANCE PACKAGE Surround View Camera, Active Parking Assist, PANORAMA ROOF power tilt/sliding sunroof, BURMESTER SURROUND SOUND SYSTEM 590 Watts, 13 high-performance speakers, 9 channel DSP amplifier, Frontbass technology, sound optimization, noise compensation and sound preset, EXTERIOR LIGHTING PACKAGE Adaptive Highbeam Assist, LED Intelligent Light System, BLIND SPOT ASSIST, HEATED STEERING WHEEL. Mercedes-Benz E 300 with Black exterior and Nut Brown/ Black MB-Tex interior features a 4 Cylinder Engine with 241 HP at 5500 RPM*. EXPERTS RAVE . the E-Class continues to provide top-notch technology features and an impeccably crafted cabin. Whether you're after stately luxury, face-flattening performance or both, the E-Class' continuous improvements help make it one of our favorite midsize luxury vehicles. -Edmunds.com. Great Gas Mileage: 30 MPG Hwy. WHO WE ARE Mercedes-Benz of Modesto in Modesto, CA treats the needs of each individual customer with paramount concern. We know that you have high expectations Horsepower calculations based on trim engine configuration. Fuel economy calculations based on original manufacturer data for trim engine configuration. Please confirm the accuracy of the included equipment by calling us prior to purchase.Nav System, Moonroof, iPod/MP3 Input. E 300 trim, Black exterior and Nut Brown/ Black MB-Tex interior. EPA 30 MPG Hwy/21 MPG City! SEE MORE! Navigation, Turbocharged, iPod/MP3 Input, Onboard Communications System, Aluminum Wheels. MP3 Player, Steering Wheel Controls, Child Safety Locks, Electronic Stability Control, Heated Mirrors. PREMIUM 1 PACKAGE KEYLESS-GO, KEYLESS-GO Comfort Package Code, SiriusXM Radio, 6-month All Access Plan trial, Hands-Free Access, NFC Wireless Charging, Electric Trunk Closer, PARKING ASSISTANCE PACKAGE Surround View Camera, Active Parking Assist, PANORAMA ROOF power tilt/sliding sunroof, BURMESTER SURROUND SOUND SYSTEM 590 Watts, 13 high-performance speakers, 9 channel DSP amplifier, Frontbass technology, sound optimization, noise compensation and sound preset, EXTERIOR LIGHTING PACKAGE Adaptive Highbeam Assist, LED Intelligent Light System, BLIND SPOT ASSIST, HEATED STEERING WHEEL. Mercedes-Benz E 300 with Black exterior and Nut Brown/ Black MB-Tex interior features a 4 Cylinder Engine with 241 HP at 5500 RPM*. Heated Seats, Sunroof, NAV, Turbo. FUEL EFFICIENT 30 MPG Hwy/21 MPG City! Black exterior and Black MB-Tex interior, E 300 trim SEE MORE! KEY FEATURES INCLUDE Navigation, Sunroof, Turbocharged, iPod/MP3 Input, Onboard Communications System MP3 Player, Child Safety Locks, Steering Wheel Controls, Electronic Stability Control, Heated Mirrors. OPTION PACKAGES PREMIUM 1 PACKAGE KEYLESS-GO, KEYLESS-GO Comfort Package Code, SiriusXM Radio, 6-month All Access Plan trial, Hands-Free Access, NFC Wireless Charging, Electric Trunk Closer, PARKING ASSISTANCE PACKAGE Surround View Camera, Active Parking Assist, WARMTH & COMFORT PACKAGE Warmth & Comfort Package Code, Heated Steering Wheel, Heated Armrests, Rapid Heating Functionality for Front Seats, BURMESTER SURROUND SOUND SYSTEM 590 Watts, 13 high-performance speakers, 9 channel DSP amplifier, Frontbass technology, sound optimization, noise compensation and sound preset, BLIND SPOT ASSIST, REAR SPOILER. Mercedes-Benz E 300 with Black exterior and Black MB-Tex interior features a 4 Cylinder Engine with 241 HP at 5500 RPM*. EXPERTS CONCLUDE Edmunds.com's review says . the E-Class continues to provide top-notch technology features and an impeccably crafted cabin. Whether you're after stately luxury, face-flattening performance or both, the E-Class' continuous improvements help make it one of our favorite midsize luxury vehicles.. Great Gas Mileage: 30 MPG Hwy. BUY FROM AN AWARD WINNING DEALER Mercedes-Benz of Modesto in Modesto, CA treats the needs of each individual customer with paramount concern. We know that you have high expectations Horsepower calculations based on trim engine configuration. Fuel economy calculations based on original manufacturer data for trim engine configuration. Please confirm the accuracy of the included equipment by calling us prior to purchase.Heated Seats, Sunroof, NAV, Turbo. FUEL EFFICIENT 30 MPG Hwy/21 MPG City! Black exterior and Black MB-Tex interior, E 300 trim SEE MORE! PREMIUM 1 PACKAGE KEYLESS-GO, KEYLESS-GO Comfort Package Code, SiriusXM Radio, 6-month All Access Plan trial, Hands-Free Access, NFC Wireless Charging, Electric Trunk Closer, PARKING ASSISTANCE PACKAGE Surround View Camera, Active Parking Assist, WARMTH & COMFORT PACKAGE Warmth & Comfort Package Code, Heated Steering Wheel, Heated Armrests, Rapid Heating Functionality for Front Seats, BURMESTER SURROUND SOUND SYSTEM 590 Watts, 13 high-performance speakers, 9 channel DSP amplifier, Frontbass technology, sound optimization, noise compensation and sound preset, BLIND SPOT ASSIST, REAR SPOILER. Mercedes-Benz E 300 with Black exterior and Black MB-Tex interior features a 4 Cylinder Engine with 241 HP at 5500 RPM*. NAV, Sunroof. Obsidian Black Metallic exterior and Black MB-Tex interior, E 300 trim. FUEL EFFICIENT 30 MPG Hwy/21 MPG City! CLICK NOW! KEY FEATURES INCLUDE Navigation, Turbocharged, iPod/MP3 Input, Onboard Communications System, Dual Zone A/C MP3 Player, Steering Wheel Controls, Child Safety Locks, Heated Mirrors, Electronic Stability Control. OPTION PACKAGES PREMIUM 1 PACKAGE KEYLESS-GO, KEYLESS-GO Comfort Package Code, SiriusXM Radio, 6-month All Access Plan trial, Hands-Free Access, NFC Wireless Charging, Electric Trunk Closer, PARKING ASSISTANCE PACKAGE Surround View Camera, Active Parking Assist, PANORAMA ROOF power tilt/sliding sunroof, BURMESTER SURROUND SOUND SYSTEM 590 Watts, 13 high-performance speakers, 9 channel DSP amplifier, Frontbass technology, sound optimization, noise compensation and sound preset, BLIND SPOT ASSIST, HEATED STEERING WHEEL, WHEELS: 18 AMG 5-SPOKE. Mercedes-Benz E 300 with Obsidian Black Metallic exterior and Black MB-Tex interior features a 4 Cylinder Engine with 241 HP at 5500 RPM*. EXPERTS CONCLUDE Edmunds.com's review says . the E-Class continues to provide top-notch technology features and an impeccably crafted cabin. Whether you're after stately luxury, face-flattening performance or both, the E-Class' continuous improvements help make it one of our favorite midsize luxury vehicles.. Great Gas Mileage: 30 MPG Hwy. WHY BUY FROM US Mercedes-Benz of Modesto in Modesto, CA treats the needs of each individual customer with paramount concern. We know that you have high expectations Horsepower calculations based on trim engine configuration. Fuel economy calculations based on original manufacturer data for trim engine configuration. Please confirm the accuracy of the included equipment by calling us prior to purchase.NAV, Sunroof. Obsidian Black Metallic exterior and Black MB-Tex interior, E 300 trim. FUEL EFFICIENT 30 MPG Hwy/21 MPG City! CLICK NOW! Navigation, Turbocharged, iPod/MP3 Input, Onboard Communications System, Dual Zone A/C MP3 Player, Steering Wheel Controls, Child Safety Locks, Heated Mirrors, Electronic Stability Control. PREMIUM 1 PACKAGE KEYLESS-GO, KEYLESS-GO Comfort Package Code, SiriusXM Radio, 6-month All Access Plan trial, Hands-Free Access, NFC Wireless Charging, Electric Trunk Closer, PARKING ASSISTANCE PACKAGE Surround View Camera, Active Parking Assist, PANORAMA ROOF power tilt/sliding sunroof, BURMESTER SURROUND SOUND SYSTEM 590 Watts, 13 high-performance speakers, 9 channel DSP amplifier, Frontbass technology, sound optimization, noise compensation and sound preset, BLIND SPOT ASSIST, HEATED STEERING WHEEL, WHEELS: 18 AMG 5-SPOKE. Mercedes-Benz E 300 with Obsidian Black Metallic exterior and Black MB-Tex interior features a 4 Cylinder Engine with 241 HP at 5500 RPM*. NAV, Sunroof, Onboard Communications System. E 300 trim, Polar White exterior and Black MB-Tex interior. EPA 30 MPG Hwy/21 MPG City! SEE MORE! KEY FEATURES INCLUDE Navigation, Turbocharged, iPod/MP3 Input, Onboard Communications System, Dual Zone A/C MP3 Player, Steering Wheel Controls, Child Safety Locks, Electronic Stability Control, Heated Mirrors. OPTION PACKAGES PREMIUM 1 PACKAGE KEYLESS-GO, KEYLESS-GO Comfort Package Code, SiriusXM Radio, 6-month All Access Plan trial, Hands-Free Access, NFC Wireless Charging, Electric Trunk Closer, PARKING ASSISTANCE PACKAGE Surround View Camera, Active Parking Assist, PANORAMA ROOF power tilt/sliding sunroof, BURMESTER SURROUND SOUND SYSTEM 590 Watts, 13 high-performance speakers, 9 channel DSP amplifier, Frontbass technology, sound optimization, noise compensation and sound preset, EXTERIOR LIGHTING PACKAGE Adaptive Highbeam Assist, LED Intelligent Light System, BLIND SPOT ASSIST, WHEELS: 19 AMG TWIN 5-SPOKE Tires: 245/40R19, HEATED STEERING WHEEL. Mercedes-Benz E 300 with Polar White exterior and Black MB-Tex interior features a 4 Cylinder Engine with 241 HP at 5500 RPM*. EXPERTS RAVE Edmunds.com explains . the E-Class continues to provide top-notch technology features and an impeccably crafted cabin. Whether you're after stately luxury, face-flattening performance or both, the E-Class' continuous improvements help make it one of our favorite midsize luxury vehicles.. Great Gas Mileage: 30 MPG Hwy. WHO WE ARE Mercedes-Benz of Modesto in Modesto, CA treats the needs of each individual customer with paramount concern. We know that you have high expectations Horsepower calculations based on trim engine configuration. Fuel economy calculations based on original manufacturer data for trim engine configuration. Please confirm the accuracy of the included equipment by calling us prior to purchase.NAV, Sunroof, Onboard Communications System. E 300 trim, Polar White exterior and Black MB-Tex interior. EPA 30 MPG Hwy/21 MPG City! SEE MORE! Navigation, Turbocharged, iPod/MP3 Input, Onboard Communications System, Dual Zone A/C MP3 Player, Steering Wheel Controls, Child Safety Locks, Electronic Stability Control, Heated Mirrors. PREMIUM 1 PACKAGE KEYLESS-GO, KEYLESS-GO Comfort Package Code, SiriusXM Radio, 6-month All Access Plan trial, Hands-Free Access, NFC Wireless Charging, Electric Trunk Closer, PARKING ASSISTANCE PACKAGE Surround View Camera, Active Parking Assist, PANORAMA ROOF power tilt/sliding sunroof, BURMESTER SURROUND SOUND SYSTEM 590 Watts, 13 high-performance speakers, 9 channel DSP amplifier, Frontbass technology, sound optimization, noise compensation and sound preset, EXTERIOR LIGHTING PACKAGE Adaptive Highbeam Assist, LED Intelligent Light System, BLIND SPOT ASSIST, WHEELS: 19 AMG TWIN 5-SPOKE Tires: 245/40R19, HEATED STEERING WHEEL. Mercedes-Benz E 300 with Polar White exterior and Black MB-Tex interior features a 4 Cylinder Engine with 241 HP at 5500 RPM*. NAV, Sunroof, Alloy Wheels, Turbo. E 300 trim, Black exterior and Black MB-Tex interior. FUEL EFFICIENT 30 MPG Hwy/21 MPG City! READ MORE! KEY FEATURES INCLUDE Navigation, Sunroof, Turbocharged, iPod/MP3 Input, Onboard Communications System. MP3 Player, Child Safety Locks, Steering Wheel Controls, Heated Mirrors, Electronic Stability Control. OPTION PACKAGES DRIVER ASSISTANCE PACKAGE Speed Limit Assist, Driver Assistance Package Plus, Active Speed Limit Assist, DISTRONIC PLUS w/PRESAFE Brake, Route Based Speed Adaptation, Steering Assist, PRESAFE Impulse Side, PREMIUM 1 PACKAGE KEYLESS-GO, KEYLESS-GO Comfort Package Code, SiriusXM Radio, 6-month All Access Plan trial, Hands-Free Access, NFC Wireless Charging, Electric Trunk Closer, PARKING ASSISTANCE PACKAGE Surround View Camera, Active Parking Assist, BURMESTER SURROUND SOUND SYSTEM 590 Watts, 13 high-performance speakers, 9 channel DSP amplifier, Frontbass technology, sound optimization, noise compensation and sound preset, EXTERIOR LIGHTING PACKAGE Adaptive Highbeam Assist, LED Intelligent Light System, REAR SPOILER, HEATED STEERING WHEEL. Mercedes-Benz E 300 with Black exterior and Black MB-Tex interior features a 4 Cylinder Engine with 241 HP at 5500 RPM*. VEHICLE REVIEWS . the E-Class continues to provide top-notch technology features and an impeccably crafted cabin. Whether you're after stately luxury, face-flattening performance or both, the E-Class' continuous improvements help make it one of our favorite midsize luxury vehicles. -Edmunds.com. Great Gas Mileage: 30 MPG Hwy. VISIT US TODAY Mercedes-Benz of Modesto in Modesto, CA treats the needs of each individual customer with paramount concern. We know that you have high expectations Horsepower calculations based on trim engine configuration. Fuel economy calculations based on original manufacturer data for trim engine configuration. Please confirm the accuracy of the included equipment by calling us prior to purchase.NAV, Sunroof, Alloy Wheels, Turbo. E 300 trim, Black exterior and Black MB-Tex interior. FUEL EFFICIENT 30 MPG Hwy/21 MPG City! READ MORE! DRIVER ASSISTANCE PACKAGE Speed Limit Assist, Driver Assistance Package Plus, Active Speed Limit Assist, DISTRONIC PLUS w/PRESAFE Brake, Route Based Speed Adaptation, Steering Assist, PRESAFE Impulse Side, PREMIUM 1 PACKAGE KEYLESS-GO, KEYLESS-GO Comfort Package Code, SiriusXM Radio, 6-month All Access Plan trial, Hands-Free Access, NFC Wireless Charging, Electric Trunk Closer, PARKING ASSISTANCE PACKAGE Surround View Camera, Active Parking Assist, BURMESTER SURROUND SOUND SYSTEM 590 Watts, 13 high-performance speakers, 9 channel DSP amplifier, Frontbass technology, sound optimization, noise compensation and sound preset, EXTERIOR LIGHTING PACKAGE Adaptive Highbeam Assist, LED Intelligent Light System, REAR SPOILER, HEATED STEERING WHEEL. Mercedes-Benz E 300 with Black exterior and Black MB-Tex interior features a 4 Cylinder Engine with 241 HP at 5500 RPM*. NAV, Sunroof. EPA 30 MPG Hwy/21 MPG City! E 300 trim, designo Diamond White Metallic exterior and Macchiato Beige/ Black MB-Tex interior CLICK ME! KEY FEATURES INCLUDE Navigation, Turbocharged, iPod/MP3 Input, Onboard Communications System, Aluminum Wheels. MP3 Player, Child Safety Locks, Steering Wheel Controls, Electronic Stability Control, Heated Mirrors. OPTION PACKAGES PREMIUM 1 PACKAGE KEYLESS-GO, KEYLESS-GO Comfort Package Code, SiriusXM Radio, 6-month All Access Plan trial, Hands-Free Access, NFC Wireless Charging, Electric Trunk Closer, PARKING ASSISTANCE PACKAGE Surround View Camera, Active Parking Assist, PANORAMA ROOF power tilt/sliding sunroof, BURMESTER SURROUND SOUND SYSTEM 590 Watts, 13 high-performance speakers, 9 channel DSP amplifier, Frontbass technology, sound optimization, noise compensation and sound preset, 3-ZONE CLIMATE CONTROL, BLIND SPOT ASSIST, REAR SPOILER. Mercedes-Benz E 300 with designo Diamond White Metallic exterior and Macchiato Beige/ Black MB-Tex interior features a 4 Cylinder Engine with 241 HP at 5500 RPM*. EXPERTS CONCLUDE Edmunds.com explains . the E-Class continues to provide top-notch technology features and an impeccably crafted cabin. Whether you're after stately luxury, face-flattening performance or both, the E-Class' continuous improvements help make it one of our favorite midsize luxury vehicles.. Great Gas Mileage: 30 MPG Hwy. WHY BUY FROM US Mercedes-Benz of Modesto in Modesto, CA treats the needs of each individual customer with paramount concern. We know that you have high expectations Horsepower calculations based on trim engine configuration. Fuel economy calculations based on original manufacturer data for trim engine configuration. Please confirm the accuracy of the included equipment by calling us prior to purchase.NAV, Sunroof. EPA 30 MPG Hwy/21 MPG City! E 300 trim, designo Diamond White Metallic exterior and Macchiato Beige/ Black MB-Tex interior CLICK ME! PREMIUM 1 PACKAGE KEYLESS-GO, KEYLESS-GO Comfort Package Code, SiriusXM Radio, 6-month All Access Plan trial, Hands-Free Access, NFC Wireless Charging, Electric Trunk Closer, PARKING ASSISTANCE PACKAGE Surround View Camera, Active Parking Assist, PANORAMA ROOF power tilt/sliding sunroof, BURMESTER SURROUND SOUND SYSTEM 590 Watts, 13 high-performance speakers, 9 channel DSP amplifier, Frontbass technology, sound optimization, noise compensation and sound preset, 3-ZONE CLIMATE CONTROL, BLIND SPOT ASSIST, REAR SPOILER. Mercedes-Benz E 300 with designo Diamond White Metallic exterior and Macchiato Beige/ Black MB-Tex interior features a 4 Cylinder Engine with 241 HP at 5500 RPM*. Navigation, Moonroof. FUEL EFFICIENT 29 MPG Hwy/21 MPG City! E 300 trim, Polar White exterior and Macchiato Beige/ Black MB-Tex interior AND MORE! KEY FEATURES INCLUDE Navigation, Full-Time 4MATIC All-Wheel Drive, Turbocharged, iPod/MP3 Input, Onboard Communications System MP3 Player, Steering Wheel Controls, Child Safety Locks, Heated Mirrors, Electronic Stability Control. OPTION PACKAGES PREMIUM 1 PACKAGE KEYLESS-GO, KEYLESS-GO Comfort Package Code, SiriusXM Radio, 6-month All Access Plan trial, Hands-Free Access, NFC Wireless Charging, Electric Trunk Closer, PARKING ASSISTANCE PACKAGE Surround View Camera, Active Parking Assist, PANORAMA ROOF power tilt/sliding sunroof, BURMESTER SURROUND SOUND SYSTEM 590 Watts, 13 high-performance speakers, 9 channel DSP amplifier, Frontbass technology, sound optimization, noise compensation and sound preset, EXTERIOR LIGHTING PACKAGE Adaptive Highbeam Assist, LED Intelligent Light System, BLIND SPOT ASSIST, WHEELS: 19 AMG TWIN 5-SPOKE Tires: 245/40R19, HEATED STEERING WHEEL. Mercedes-Benz E 300 with Polar White exterior and Macchiato Beige/ Black MB-Tex interior features a 4 Cylinder Engine with 241 HP at 5500 RPM*. EXPERTS RAVE . the E-Class continues to provide top-notch technology features and an impeccably crafted cabin. Whether you're after stately luxury, face-flattening performance or both, the E-Class' continuous improvements help make it one of our favorite midsize luxury vehicles. -Edmunds.com. Great Gas Mileage: 29 MPG Hwy. WHO WE ARE Mercedes-Benz of Modesto in Modesto, CA treats the needs of each individual customer with paramount concern. We know that you have high expectations Horsepower calculations based on trim engine configuration. Fuel economy calculations based on original manufacturer data for trim engine configuration. Please confirm the accuracy of the included equipment by calling us prior to purchase.Navigation, Moonroof. FUEL EFFICIENT 29 MPG Hwy/21 MPG City! E 300 trim, Polar White exterior and Macchiato Beige/ Black MB-Tex interior AND MORE! Navigation, Full-Time 4MATIC All-Wheel Drive, Turbocharged, iPod/MP3 Input, Onboard Communications System MP3 Player, Steering Wheel Controls, Child Safety Locks, Heated Mirrors, Electronic Stability Control. PREMIUM 1 PACKAGE KEYLESS-GO, KEYLESS-GO Comfort Package Code, SiriusXM Radio, 6-month All Access Plan trial, Hands-Free Access, NFC Wireless Charging, Electric Trunk Closer, PARKING ASSISTANCE PACKAGE Surround View Camera, Active Parking Assist, PANORAMA ROOF power tilt/sliding sunroof, BURMESTER SURROUND SOUND SYSTEM 590 Watts, 13 high-performance speakers, 9 channel DSP amplifier, Frontbass technology, sound optimization, noise compensation and sound preset, EXTERIOR LIGHTING PACKAGE Adaptive Highbeam Assist, LED Intelligent Light System, BLIND SPOT ASSIST, WHEELS: 19 AMG TWIN 5-SPOKE Tires: 245/40R19, HEATED STEERING WHEEL. Mercedes-Benz E 300 with Polar White exterior and Macchiato Beige/ Black MB-Tex interior features a 4 Cylinder Engine with 241 HP at 5500 RPM*.
. the E-Class continues to provide top-notch technology features and an impeccably crafted cabin. Whether you're after stately luxury, face-flattening performance or both, the E-Class' continuous improvements help make it one of our favorite midsize luxury vehicles. -Edmunds.com. Great Gas Mileage: 29 MPG Hwy. Sunroof, Heated Seats, NAV, iPod/MP3 Input. Black exterior and Black MB-Tex interior, E 450 trim. EPA 28 MPG Hwy/20 MPG City! READ MORE! KEY FEATURES INCLUDE Navigation, Full-Time 4MATIC All-Wheel Drive, Back-Up Camera, Turbocharged, iPod/MP3 Input. Rear Spoiler, MP3 Player, Steering Wheel Controls, Child Safety Locks, Heated Mirrors. OPTION PACKAGES PREMIUM PACKAGE KEYLESS-GO Comfort Package, KEYLESS-GO, Hands-Free Access, Electronic Trunk Closer, Blind Spot Assist, Heated Front Seats, SiriusXM Radio, 6-month All Access plan trial, Inductive Wireless Charging w/NFC Pairing, Burmester Surround Sound System, PANORAMA SUNROOF, AMG LINE EXTERIOR AMG Body Styling, Sport Interior, Wheels: 18 AMG 5-Spoke, Sport Exterior, Perforated Front Brake Discs, front brake calipers w/Mercedes-Benz lettering, Black Headliner. Mercedes-Benz E 450 with Black exterior and Black MB-Tex interior features a V6 Cylinder Engine with 362 HP at 5500 RPM*. EXPERTS RAVE Edmunds.com explains . the E-Class continues to provide top-notch technology features and an impeccably crafted cabin. Whether you're after stately luxury, face-flattening performance or both, the E-Class' continuous improvements help make it one of our favorite midsize luxury vehicles.. Great Gas Mileage: 28 MPG Hwy. MORE ABOUT US Mercedes-Benz of Modesto in Modesto, CA treats the needs of each individual customer with paramount concern. We know that you have high expectations, and as an automotive dealer we enjoy the challenge of meeting and exceeding those standards each and every time. Allow us to demonstrate our commitment to excellence! Our experienced sales staff is eager to share its knowledge and enthusiasm with you. We encourage you to browse our online inventory Horsepower calculations based on trim engine configuration. Fuel economy calculations based on original manufacturer data for trim engine configuration. Please confirm the accuracy of the included equipment by calling us prior to purchase.Sunroof, Heated Seats, NAV, iPod/MP3 Input. Black exterior and Black MB-Tex interior, E 450 trim. EPA 28 MPG Hwy/20 MPG City! READ MORE! Navigation, Full-Time 4MATIC All-Wheel Drive, Back-Up Camera, Turbocharged, iPod/MP3 Input. Rear Spoiler, MP3 Player, Steering Wheel Controls, Child Safety Locks, Heated Mirrors. PREMIUM PACKAGE KEYLESS-GO Comfort Package, KEYLESS-GO, Hands-Free Access, Electronic Trunk Closer, Blind Spot Assist, Heated Front Seats, SiriusXM Radio, 6-month All Access plan trial, Inductive Wireless Charging w/NFC Pairing, Burmester Surround Sound System, PANORAMA SUNROOF, AMG LINE EXTERIOR AMG Body Styling, Sport Interior, Wheels: 18 AMG 5-Spoke, Sport Exterior, Perforated Front Brake Discs, front brake calipers w/Mercedes-Benz lettering, Black Headliner. Mercedes-Benz E 450 with Black exterior and Black MB-Tex interior features a V6 Cylinder Engine with 362 HP at 5500 RPM*. Edmunds.com explains . the E-Class continues to provide top-notch technology features and an impeccably crafted cabin. Whether you're after stately luxury, face-flattening performance or both, the E-Class' continuous improvements help make it one of our favorite midsize luxury vehicles.. Great Gas Mileage: 28 MPG Hwy. Heated Leather Seats, Navigation, Sunroof, Panoramic Roof, Back-Up Camera. E 450 trim. FUEL EFFICIENT 28 MPG Hwy/20 MPG City! READ MORE! KEY FEATURES INCLUDE Leather Seats, Navigation, Sunroof, Panoramic Roof, Back-Up Camera MP3 Player, Steering Wheel Controls, Heated Mirrors, Electronic Stability Control, Bucket Seats. OPTION PACKAGES AMG LINE PACKAGE brushed aluminum sport pedals w/rubber studs, AMG Bodystyling, AMG Floor Mats, Black Headliner, PREMIUM 1 PACKAGE KEYLESS-GO, SiriusXM Satellite Radio, 6-month trial period, HANDS-FREE ACCESS, Inductive Wireless Charging w/NFC Pairing, Electronic Trunk Closer, BURMESTER SURROUND SOUND SYSTEM, BLIND SPOT ASSIST, WHEELS: 19 AMG TWIN 5-SPOKE (RTD) Tires: 245/40R19 Front and 275/35R19 Rear, High-Performance Tires, HEATED & ACTIVE VENTILATED FRONT SEATS. Mercedes-Benz E 450 with Black exterior and Black Leather interior features a V6 Cylinder Engine with 362 HP at 5500 RPM*. EXPERTS ARE SAYING . the E-Class continues to provide top-notch technology features and an impeccably crafted cabin. Whether you're after stately luxury, face-flattening performance or both, the E-Class' continuous improvements help make it one of our favorite midsize luxury vehicles. -Edmunds.com. Great Gas Mileage: 28 MPG Hwy. VISIT US TODAY Mercedes-Benz of Modesto in Modesto, CA treats the needs of each individual customer with paramount concern. We know that you have high expectations, and as an automotive dealer we enjoy the challenge of meeting and exceeding those standards each and every time. Allow us to demonstrate our commitment to excellence! Our experienced sales staff is eager to share its knowledge and enthusiasm with you. We encourage you to browse our online inventory Horsepower calculations based on trim engine configuration. Fuel economy calculations based on original manufacturer data for trim engine configuration. Please confirm the accuracy of the included equipment by calling us prior to purchase.Heated Leather Seats, Navigation, Sunroof, Panoramic Roof, Back-Up Camera. E 450 trim. FUEL EFFICIENT 28 MPG Hwy/20 MPG City! READ MORE! Leather Seats, Navigation, Sunroof, Panoramic Roof, Back-Up Camera MP3 Player, Steering Wheel Controls, Heated Mirrors, Electronic Stability Control, Bucket Seats. AMG LINE PACKAGE brushed aluminum sport pedals w/rubber studs, AMG Bodystyling, AMG Floor Mats, Black Headliner, PREMIUM 1 PACKAGE KEYLESS-GO, SiriusXM Satellite Radio, 6-month trial period, HANDS-FREE ACCESS, Inductive Wireless Charging w/NFC Pairing, Electronic Trunk Closer, BURMESTER SURROUND SOUND SYSTEM, BLIND SPOT ASSIST, WHEELS: 19 AMG TWIN 5-SPOKE (RTD) Tires: 245/40R19 Front and 275/35R19 Rear, High-Performance Tires, HEATED & ACTIVE VENTILATED FRONT SEATS. Mercedes-Benz E 450 with Black exterior and Black Leather interior features a V6 Cylinder Engine with 362 HP at 5500 RPM*.
. the E-Class continues to provide top-notch technology features and an impeccably crafted cabin. Whether you're after stately luxury, face-flattening performance or both, the E-Class' continuous improvements help make it one of our favorite midsize luxury vehicles. -Edmunds.com. Great Gas Mileage: 28 MPG Hwy. Heated Seats, Navigation, Sunroof, iPod/MP3 Input. Black exterior and Black MB-Tex interior, E 450 trim. EPA 28 MPG Hwy/20 MPG City! CLICK ME! KEY FEATURES INCLUDE Navigation, Sunroof, Full-Time 4MATIC All-Wheel Drive, Turbocharged, iPod/MP3 Input Rear Spoiler, MP3 Player, Steering Wheel Controls, Child Safety Locks, Heated Mirrors. OPTION PACKAGES PREMIUM PACKAGE KEYLESS-GO Comfort Package, KEYLESS-GO, Hands-Free Access, Electronic Trunk Closer, Blind Spot Assist, Heated Front Seats, SiriusXM Radio, 6-month All Access plan trial, Inductive Wireless Charging w/NFC Pairing, Burmester Surround Sound System, PARKING ASSISTANCE PACKAGE Parking Assist Code, Surround View System, Active Parking Assist, WHEELS: 19 AMG TWIN 5-SPOKE Tires: 245/40R19 All-Season, HEATED STEERING WHEEL. Mercedes-Benz E 450 with Black exterior and Black MB-Tex interior features a V6 Cylinder Engine with 362 HP at 5500 RPM*. EXPERTS REPORT . the E-Class continues to provide top-notch technology features and an impeccably crafted cabin. Whether you're after stately luxury, face-flattening performance or both, the E-Class' continuous improvements help make it one of our favorite midsize luxury vehicles. -Edmunds.com. Great Gas Mileage: 28 MPG Hwy. OUR OFFERINGS Mercedes-Benz of Modesto in Modesto, CA treats the needs of each individual customer with paramount concern. We know that you have high expectations, and as an automotive dealer we enjoy the challenge of meeting and exceeding those standards each and every time. Allow us to demonstrate our commitment to excellence! Our experienced sales staff is eager to share its knowledge and enthusiasm with you. We encourage you to browse our online inventory, schedule a test drive and investigate financing. Horsepower calculations based on trim engine configuration. Fuel economy calculations based on original manufacturer data for trim engine configuration. Please confirm the accuracy of the included equipment by calling us prior to purchase.Heated Seats, Navigation, Sunroof, iPod/MP3 Input. Black exterior and Black MB-Tex interior, E 450 trim. EPA 28 MPG Hwy/20 MPG City! CLICK ME! Navigation, Sunroof, Full-Time 4MATIC All-Wheel Drive, Turbocharged, iPod/MP3 Input Rear Spoiler, MP3 Player, Steering Wheel Controls, Child Safety Locks, Heated Mirrors. PREMIUM PACKAGE KEYLESS-GO Comfort Package, KEYLESS-GO, Hands-Free Access, Electronic Trunk Closer, Blind Spot Assist, Heated Front Seats, SiriusXM Radio, 6-month All Access plan trial, Inductive Wireless Charging w/NFC Pairing, Burmester Surround Sound System, PARKING ASSISTANCE PACKAGE Parking Assist Code, Surround View System, Active Parking Assist, WHEELS: 19 AMG TWIN 5-SPOKE Tires: 245/40R19 All-Season, HEATED STEERING WHEEL. Mercedes-Benz E 450 with Black exterior and Black MB-Tex interior features a V6 Cylinder Engine with 362 HP at 5500 RPM*. Heated Seats, Sunroof, NAV, iPod/MP3 Input. EPA 28 MPG Hwy/20 MPG City! E 450 trim, Black exterior and Black MB-Tex interior CLICK NOW! KEY FEATURES INCLUDE Navigation, Full-Time 4MATIC All-Wheel Drive, Turbocharged, iPod/MP3 Input, Onboard Communications System MP3 Player, Child Safety Locks, Steering Wheel Controls, Electronic Stability Control, Heated Mirrors. OPTION PACKAGES PREMIUM PACKAGE KEYLESS-GO Comfort Package, KEYLESS-GO, Hands-Free Access, Electronic Trunk Closer, Blind Spot Assist, Heated Front Seats, SiriusXM Radio, 6-month All Access plan trial, Inductive Wireless Charging w/NFC Pairing, Burmester Surround Sound System, PARKING ASSISTANCE PACKAGE Parking Assist Code, Surround View System, Active Parking Assist, PANORAMA ROOF, HEAD-UP DISPLAY, EXTERIOR LIGHTING PACKAGE Lighting Package Code, Adaptive Highbeam Assist, LED Intelligent Light System, BODY COLOR REAR DECK SPOILER, HEATED STEERING WHEEL. Mercedes-Benz E 450 with Black exterior and Black MB-Tex interior features a V6 Cylinder Engine with 362 HP at 5500 RPM*. EXPERTS CONCLUDE Edmunds.com explains . the E-Class continues to provide top-notch technology features and an impeccably crafted cabin. Whether you're after stately luxury, face-flattening performance or both, the E-Class' continuous improvements help make it one of our favorite midsize luxury vehicles.. Great Gas Mileage: 28 MPG Hwy. OUR OFFERINGS Mercedes-Benz of Modesto in Modesto, CA treats the needs of each individual customer with paramount concern. We know that you have high expectations Horsepower calculations based on trim engine configuration. Fuel economy calculations based on original manufacturer data for trim engine configuration. Please confirm the accuracy of the included equipment by calling us prior to purchase.Heated Seats, Sunroof, NAV, iPod/MP3 Input. EPA 28 MPG Hwy/20 MPG City! E 450 trim, Black exterior and Black MB-Tex interior CLICK NOW! PREMIUM PACKAGE KEYLESS-GO Comfort Package, KEYLESS-GO, Hands-Free Access, Electronic Trunk Closer, Blind Spot Assist, Heated Front Seats, SiriusXM Radio, 6-month All Access plan trial, Inductive Wireless Charging w/NFC Pairing, Burmester Surround Sound System, PARKING ASSISTANCE PACKAGE Parking Assist Code, Surround View System, Active Parking Assist, PANORAMA ROOF, HEAD-UP DISPLAY, EXTERIOR LIGHTING PACKAGE Lighting Package Code, Adaptive Highbeam Assist, LED Intelligent Light System, BODY COLOR REAR DECK SPOILER, HEATED STEERING WHEEL. Mercedes-Benz E 450 with Black exterior and Black MB-Tex interior features a V6 Cylinder Engine with 362 HP at 5500 RPM*. Moonroof, Heated Seats, Nav System. Black exterior and Black Leather interior, E 450 trim. FUEL EFFICIENT 28 MPG Hwy/20 MPG City! SEE MORE! KEY FEATURES INCLUDE Navigation, Full-Time 4MATIC All-Wheel Drive, Turbocharged, iPod/MP3 Input, Onboard Communications System Rear Spoiler, MP3 Player, Steering Wheel Controls, Child Safety Locks, Heated Mirrors. OPTION PACKAGES DRIVER ASSISTANCE PACKAGE emergency stop assist, evasive steering assist, Active Blind Spot Assist, Driver Assistance Plus Package Code, Active Speed Limit Assist, Active Brake Assist w/Cross-Traffic Function, Active Lane Change Assist, DISTRONIC PLUS w/PRESAFE Brake, Route Based Speed Adaptation, PRE-SAFE PLUS Rear End Collision Protection, Active Steering Assist, PRE-SAFE Impulse Side, PREMIUM PACKAGE KEYLESS-GO Comfort Package, KEYLESS-GO, Hands-Free Access, Electronic Trunk Closer, Blind Spot Assist, Heated Front Seats, SiriusXM Radio, 6-month All Access plan trial, Inductive Wireless Charging w/NFC Pairing, Burmester Surround Sound System, PARKING ASSISTANCE PACKAGE Parking Assist Code, Surround View System, Active Parking Assist, PANORAMA ROOF, EXTERIOR LIGHTING PACKAGE Lighting Package Code, Adaptive Highbeam Assist, LED Intelligent Light System, HEATED & VENTILATED FRONT SEATS. Mercedes-Benz E 450 with Black exterior and Black Leather interior features a V6 Cylinder Engine with 362 HP at 5500 RPM*. EXPERTS REPORT . the E-Class continues to provide top-notch technology features and an impeccably crafted cabin. Whether you're after stately luxury, face-flattening performance or both, the E-Class' continuous improvements help make it one of our favorite midsize luxury vehicles. -Edmunds.com. Great Gas Mileage: 28 MPG Hwy. Horsepower calculations based on trim engine configuration. Fuel economy calculations based on original manufacturer data for trim engine configuration. Please confirm the accuracy of the included equipment by calling us prior to purchase.Moonroof, Heated Seats, Nav System. Black exterior and Black Leather interior, E 450 trim. FUEL EFFICIENT 28 MPG Hwy/20 MPG City! SEE MORE! Navigation, Full-Time 4MATIC All-Wheel Drive, Turbocharged, iPod/MP3 Input, Onboard Communications System Rear Spoiler, MP3 Player, Steering Wheel Controls, Child Safety Locks, Heated Mirrors. DRIVER ASSISTANCE PACKAGE emergency stop assist, evasive steering assist, Active Blind Spot Assist, Driver Assistance Plus Package Code, Active Speed Limit Assist, Active Brake Assist w/Cross-Traffic Function, Active Lane Change Assist, DISTRONIC PLUS w/PRESAFE Brake, Route Based Speed Adaptation, PRE-SAFE PLUS Rear End Collision Protection, Active Steering Assist, PRE-SAFE Impulse Side, PREMIUM PACKAGE KEYLESS-GO Comfort Package, KEYLESS-GO, Hands-Free Access, Electronic Trunk Closer, Blind Spot Assist, Heated Front Seats, SiriusXM Radio, 6-month All Access plan trial, Inductive Wireless Charging w/NFC Pairing, Burmester Surround Sound System, PARKING ASSISTANCE PACKAGE Parking Assist Code, Surround View System, Active Parking Assist, PANORAMA ROOF, EXTERIOR LIGHTING PACKAGE Lighting Package Code, Adaptive Highbeam Assist, LED Intelligent Light System, HEATED & VENTILATED FRONT SEATS. Mercedes-Benz E 450 with Black exterior and Black Leather interior features a V6 Cylinder Engine with 362 HP at 5500 RPM*.